200-300strands are recommended for whole head. Amazing extensions! Absolutely recommend and will definitely order again and again. I received them in time, I have worn them on my head. They are easy to wear and look fabulous. They are worth the money. You won’t be disappointed. 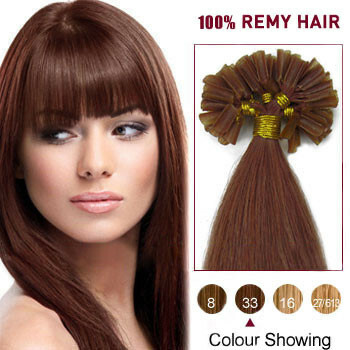 Pre-bonded hair extensions are much better and more gentle to use on your own natural hairs than clip in, micro loop, tape in and wefts/weaving hair extensions. 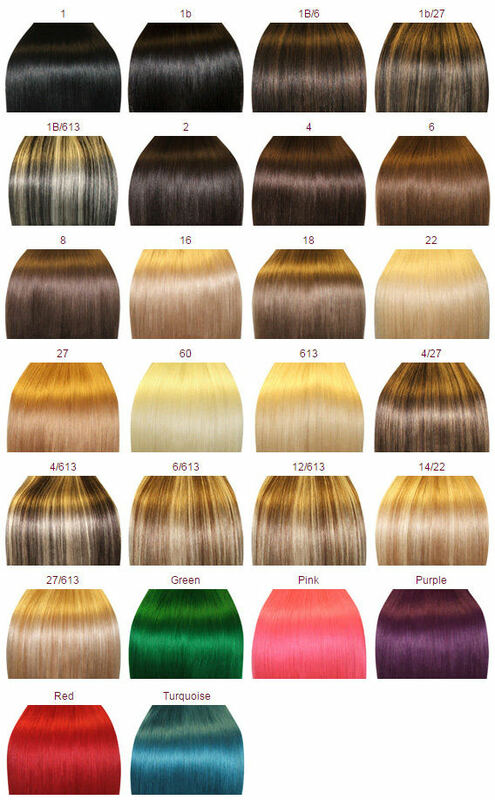 We have pre-bonded hair extensions in the same range of colors as we have in clip in, tape in and wefts/weaving hair extensions. 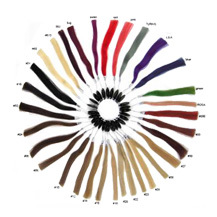 You can even have your preferred hair color matched with the color of fusion hair extensions by using our color-matching assistant. 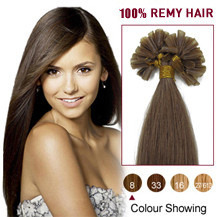 There you can match your own hair color with the hair extensions color you like. 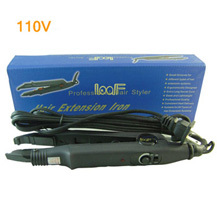 Nail tip hair extensions also called u-tip is a process in which the "U" shaped glue is already on the tip of the hair ready to be attached by using the extension iron. 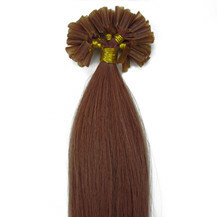 The color is Dark Auburn(#33),the weight is 0.5g and the life of this hair extension is 6 To 12 Months. Start sectioning the hair from bottom to top. Insert template to root to protect scalp from heat. Twist strands to ease placing pre tipped hair. Place Pre tipped hair under client`s hair, holding with one hand. Place hair connector Tool under hair. Pinch smoothly for about 3 seconds to melt and smear glue into every hair stand. Roll fused part with fingers and try to close tightly. 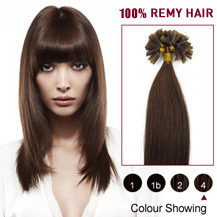 Finished - Do not shampoo or condition hair within 24 hours. Dropped 3 drops remover on the glued part. Energize remove the glue break use flat pliter. Separate pre-tipped hair from your hair. Use comb or shampoo to clean the glue residue out.